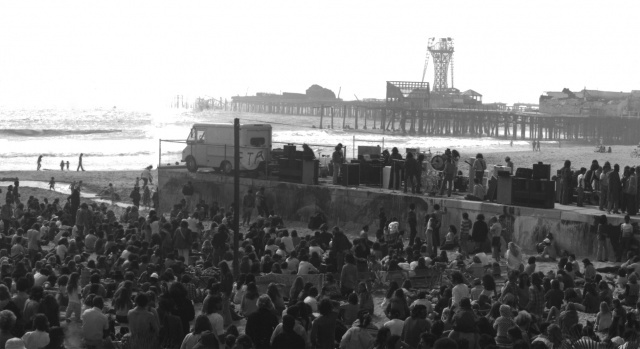 Occasionally Jim Morrison and "The Doors" played free concerts on the Rose Ave. Pier at Venice Beach, as the remains of the P.O.P pier are seen in the background. "No one here gets out alive" www.findadeath.com/Deceased/m/Jim%20Mor? Jim Morrison (with a genius IQ of about 148) passed through life from 1943-1971 (R.I.P. at age 27) Morrison lived at our friends home at the very first building to the left on Rose Ave. and Speedway (N/E) by the first palm trees on the "Boardwalk" panorama adjacent to the Rose Ave. Pier. at: rvmann.com/artwork/269202_North_Venice_? We amusingly met at a few parties in the Marina peninsula and the Venice canals. Similar to the terminating of the French revolutionary, Jean Paul Marat bastille-day.com/biography/Marat-Biogra?, James Douglas (Jim) Morrison retreated to France and terminally expired in his bathtub at home.